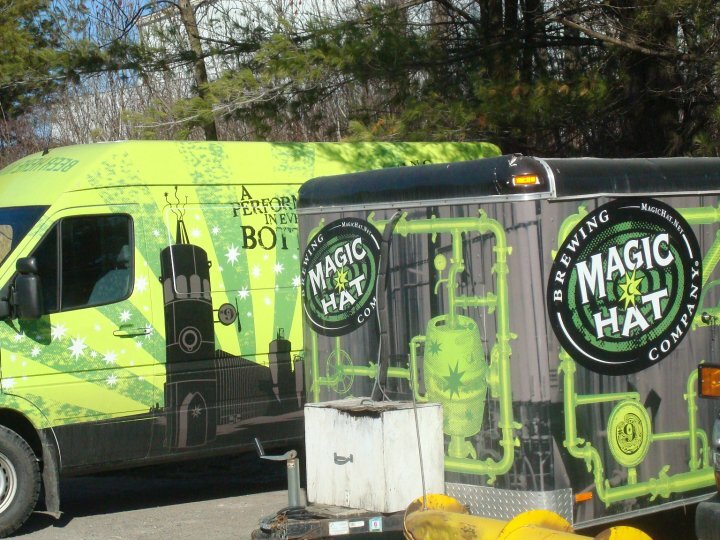 Magic Hat – Breweries, Wineries and the fun in between! Mark and I have been to Magic Hat a few times, the most recent being this past Friday, in 2013. It is located in South Burlington, Vermont. 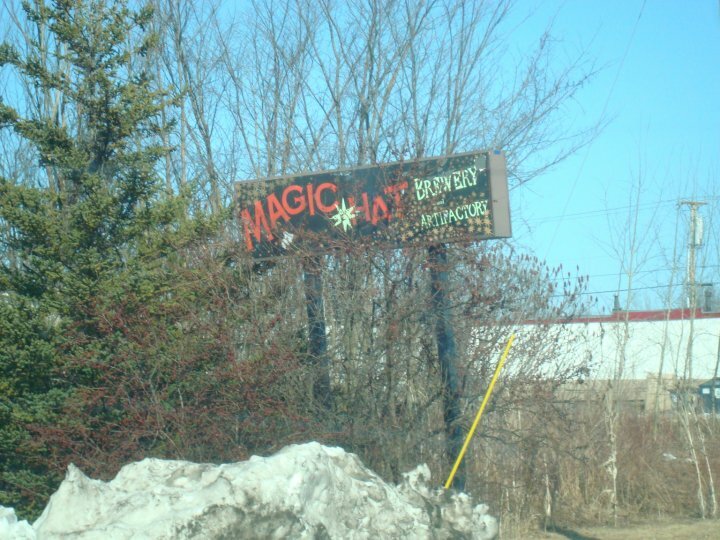 If you haven’t been to Magic Hat before, it is a sight to be seen outside. Magic Hat considers the brewery to be an “Artifactory.” When you enter, you can take a tour if you wish (we haven’t in all the time we have gone), shop through their merchandise, or go to their Growler Bar. Their Growler Bar is changing all the time, featuring year round beers, as well as seasonal beers, experimental tastings and some that are only available in that area. Recently, they have started to limit how many samples people have by placing a card in front of each consumer. You are allowed four stamps/check marks/beers. BUT- it is free! Like other free stuff? Check in on four square. First check in will earn you a free bumper sticker. Ten check ins will earn you a free pint glass. 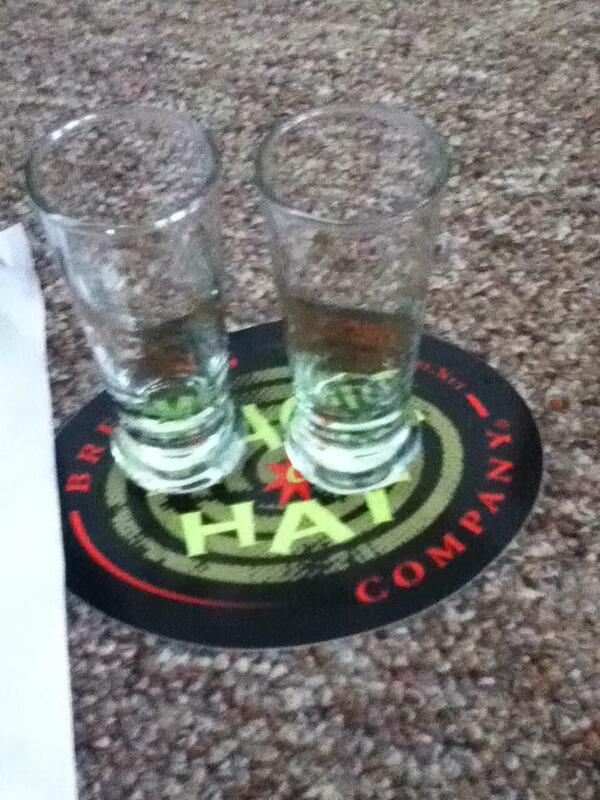 tasting glasses & my free bumper sticker!